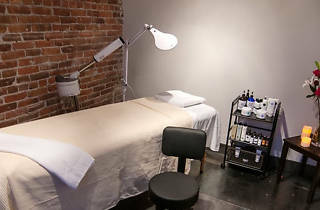 You’d expect a spa with “New York” in the name to be tres pricy, but one of the many refreshing features of this year-old spa is that it offers top-shelf treatments at reasonable prices—prices made even more accessible when you buy services in bulk. The facials are front and center here, with many anti-aging options (peels, Photolight, TItan skin tightening) and add-ons like microdermabrasion. 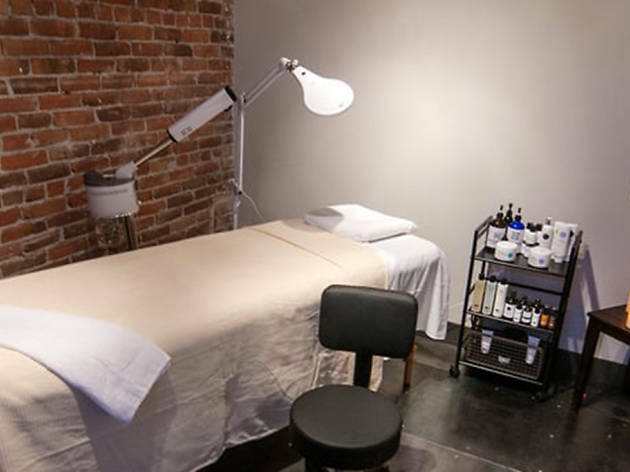 But those seeking a full body reprieve should spring for one of the new body wraps, which include a shoulder-to-toes exfoliation and blissful scalp massage once you’ve been cocooned.